First day of 2016 4-H archery season. Vernon County 4-H Shooting Sports held the first archery practice of 2016 on Tuesday, Apr. 5. 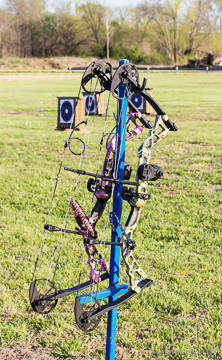 Bow stand and ground quiver combination. 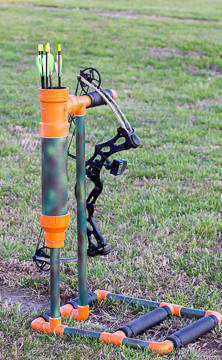 Building a bow stand, or making a quiver can also count as a 4-H project. 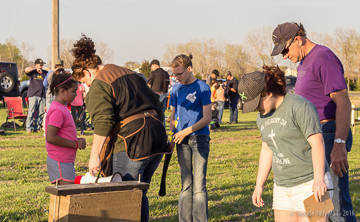 When someone loses an arrow, everyone pitches in to help find it. Even in the low grass, and arrow fired from several yards away can land and slide under the grass, making finding it very difficult. In this case, the arrow was black, which didn't help things. 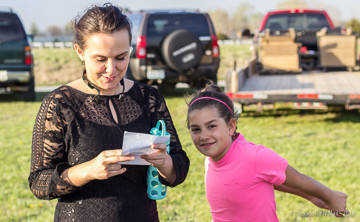 Bridgett Wallace and her daugher Mia Wallace at their first 4-H archery shoot. 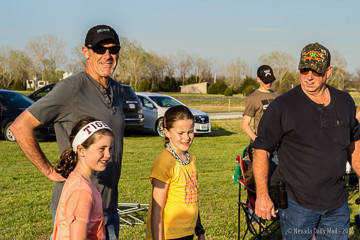 From left: Paul Russell, Molly Russell, Mary Kate Russell, and Steve Burchell. 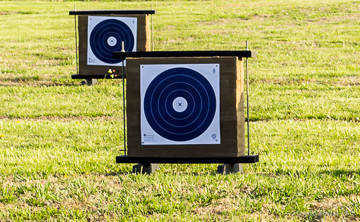 The targets the archers are aiming for. A hit in the center X ring is worth five points. Each ring out reduces the point value by one. 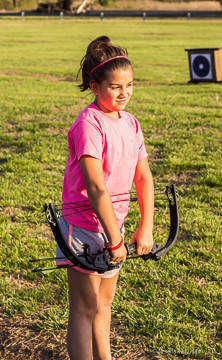 Archers can also make bow stands and quivers to hold their arrows.